Gas Range Reviews: How to buy the right one? Gas range is a staple in every kitchen, in every home. This is one of the necessities we need because we use it to cook our own food, which is a great step in living a healthy lifestyle compared to purchasing ready made food or fast food that don’t give much nutrients our body needs. 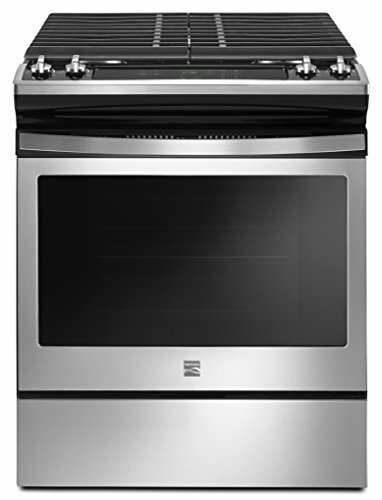 What are the factors to consider when buying a gas range? What are the different styles of gas ranges? Having to cook your own food is great, but having to cook it in a range that specifically caters to your needs and wants is even greater. So before you head out to buy your very first gas range or replace an existing one, read through this article to find out more about the factors to consider before buying a gas range and the different types there is. Either a propane gas tank or a natural gas line can power gas ranges. If you are looking through a long term one that can save you money, go for the gas line. Propane tanks require refilling every now and then, depending on how you consume. But it is a hassle to refill and replace. Gas lines won’t give you too much to worry about when it is installed. If you are coming from an electric range, you might not have an existing gas line. You have to call a natural gas provider and they will send a person who will do the installation of the gas line as well as setting up the gas range. This is the safest way to do this, especially if you haven o idea how gas lines work. Consider your cooking needs before buying a gas range. Some ranges have about five to six burners, which you may not need if you live by yourself or with a few other family members. However, this may prove really helpful if you like holding large parties at home. It saves you a lot of time cooking several types of dishes at once. 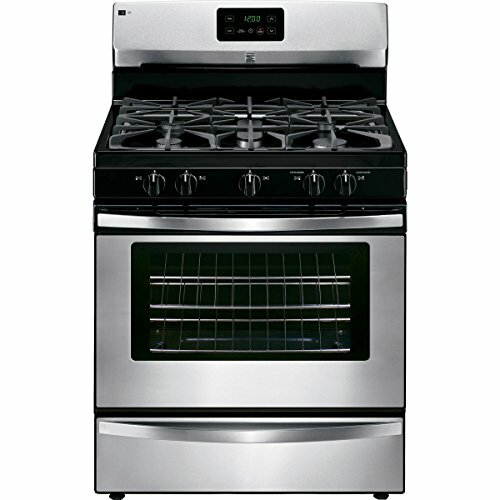 You may also want to consider getting a gas range that has a built in oven. There are varieties sold where you can pick if you want to have one large oven or two smaller ones. For variety, you can also pick burners that run using gas and a burner fired by electric coils. This way, you can still cook using your range, even if you run out of gas or there is a sudden power outage. Determining how much space you have left in your kitchen is important before buying your gas range. Make sure to measure the available space and take it with you when you go shopping to find out the best size that fits. It may not be difficult to pick a freestanding range because you can place it practically anywhere and it will run smoothly. Other types, such as built-in and slide-in ranges may require certain measurements so that it will fit in nicely in your cabinetry, as these types are designed to fit seamlessly in your kitchen. Ranges vary in width, mostly from 24 to 60 inches. The wider ones, 36 to 60 inches are the most expensive. Don’t buy a gas range on a whim, make sure to plan ahead and look through many types and brands so you’ll have an idea of the price of your chosen range. Afterwards, set the budget you have in mind and keep it. You’ll have better deals coming up in the future if you wait. Gas stoves definitely require great ventilation. There are two options: Updraft or downdraft. 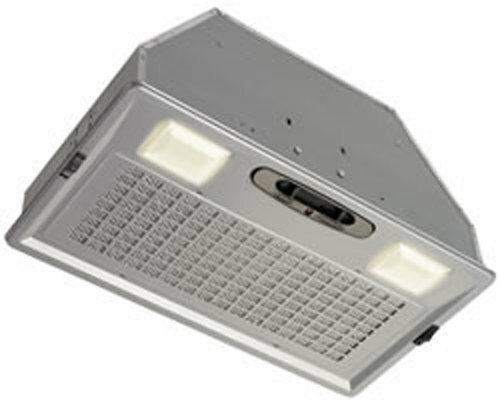 The most common among the two is the updraft with an overhead hood ventilator. Downdraft, on the other hand, requires a duct to be installed so air can flow freely outside. There are three types of gas range designs that will suit the tastes of different customers. These are the freestanding range, slide-in range, and drop-in range. These are the ones that when bought, can be placed anywhere in the kitchen even if without fancy countertops and cabinetry. It is freestanding because it doesn’t need the support of anything for it to work. This one is designed to slide in-between cabinets to give it a built-in appearance. The top of this range is slightly protruded so that it rests on each side of the countertop. When pushed in, it looks really nice but you have to get the exact dimensions of the space for it to fit snuggly. By far, this one is the hardest to fit in, especially if you don’t plan to construct the cabinetry around it. It requires customization so you have to really get the dimensions of this range and hire someone to build the cabinets around it. It is also slightly elevated, as it sits on top of a cabinet. Like the slide-in range, it is built-in seamlessly. Drop-in ranges mostly come in electric models, and not gas. Whichever you pick, make sure that it not only suits your wants and needs, but it also just right for your budget. There are many models and brands out there that can tick everything on your checklist. All you have to do is search.